Substance abuse impacts virtually all areas of a person’s life: physical and mental health, relationships with friends and family, and career. According to the Substance Abuse and Mental Health Services Administration, more than 75% of people with substance use disorder maintain employment. Although the impact substance abuse in the workplace is significant, its impact usually isn’t immediately detectable. So, what’s the real cost of substance abuse in the workplace? It impacts three key areas: company finances, employee health and safety, and company culture. The Pew Charitable Trusts estimates that the annual economic impact of illicit drugs hovers at $193. Employee substance abuse leads to productivity losses, high turnover, workplace theft, more sick days, reduced work performance and higher rates of absenteeism, which affect profit margins and bottom lines. It’s also estimated that health care costs for employees with substance use issues are twice the cost than for non-users. Even if an employee is physically present at work, if they’re abusing substances on or off the job, they likely can’t operate at the same potential as they usually would. Substance abuse on the job increases the risk of occupational injuries and fatalities. According to NCADD, workers with alcohol problems are 2.7 times more likely to have injury-related absences than those without alcohol problems. Additionally, a study of a hospital emergency room found that 35% of patients with an occupational injury were at-risk drinkers, and breathalyzer tests detected alcohol in 16% of patients who were injured on the job. Many companies require pre-employment drug screenings, but the inconsistency of random drug screenings makes it difficult to protect workers in the long-term. If an employee is using drugs or alcohol, it’s likely that morale and company culture will suffer, especially if the company represents an industry where substance use is normalized, such as food and hospitality. In some industries, substances may be needed to keep up with a fast pace and stay focused. In others, substances may be used to blow off steam during downtime. Even employees who aren’t necessarily dependent on drugs or alcohol can pose a problem. They may not need substances to function in daily life, but they binge on the weekends or after they leave work. Off-the-clock substance use may make them leave work early on Thursday or Friday or come in late on Monday. The after-effects of substance use can also bleed into the workday. If an employee is dealing with a hangover or withdrawal, it can be difficult for them to work. When employees are showing up late, leaving early, absent or unproductive, their colleagues notice, which breeds resentment and drives up conflict. Drug and alcohol use is a huge issue in the workplace because most people with substance use issues are employed somewhere. If an employee is dealing with substance abuse, it’s bound to affect their performance. If you or a colleague you care about is struggling with substance use disorder, Hemet Valley Recovery Center can help. We realize that residential treatment isn’t always an option for someone who has a full-time job and other obligations, which is why our Chemical Dependency Program is designed with working adults in mind. 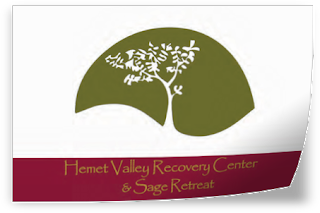 For more information about how our services can help you heal, contact us at 866-273-0868.